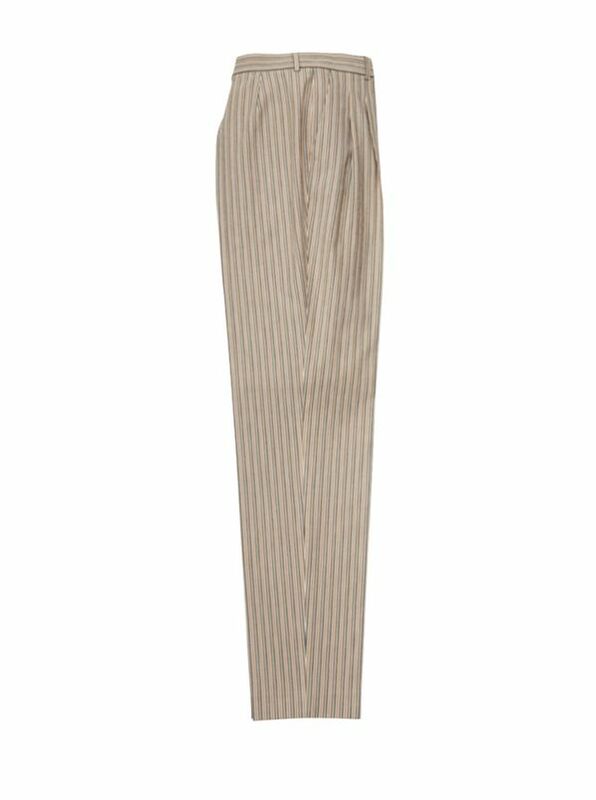 Seersucker Stripe Stretch Cotton Slacks by Bernard Zins in a comfortable and classic double-pleated model with belt loops. Two front pockets, ankle length. 99% cotton/1% Elastane. Imported.